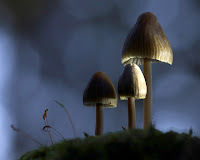 Mycology, the study of fungi, has become a major part of life as we know it. Although we don’t always realize it, fungus is everywhere, in our homes, our food, and our bodies. Below is a compilation of the top ten contributions fungi have made to our every day lives. Let's face it, the world would be a much different place without fungi and the magnificent mycologists that study these organisms. 10. Many people in Australia and Europe enjoy Marmite, also known as Dito Vegemite or Cenovis, a dark salty spread thats often eaten on toast. Marmite is a yeast extract that comes from a relative of the unicellular fungi called Saccharomyces cerevisiae. Without this simple fungi, many people would miss out on a delicious part of their everyday lives. 9. Unicellular yeasts also play a large role in the world of food and drink. Both beer and bread are made using these unicellular wonders. Beer is fermented using yeast while yeast gives bread the gases it needs to rise properly. Thanks to Danish Mycologist Emil Hansen, we can all enjoy a little beer and bread with dinner. 8. For the vegetarians out there, Quorn, a meat substitute, is a staple in a healthy diet. Foods such as mock sausages and chicken filets have been made using Quorn since 1985. The meaty texture that many vegetarians miss can be replicated using Quorn and it also provides vegetarians with a great source of protein. 7. Girls love receiving flowers. Orchids, like humans, also feed on fungi. Orchids rely on their fungal friends for a source of nutrition. They parasitically feed off of fungi to spark germination and also for growth throughout their lifespans. 6. Say cheese! Fungi are responsible for creating the taste in cheeses such as camembert, brie, stilton, and bleu cheese. These mold-ripened cheeses are a great addition to any meal. In addition to these gormet foods, truffles are also fungal products, as well as soy sauce, fermented using the fungus Aspergillus oryzae, and miso paste often used in Asian cuisine. 5. It's safe to say the ecosystem would fall apart without fungi. Soil and compost are broken down and digested by different types of fungi. In fact, they account for 90% of nutrient recycling within the ecosystem. By breaking down cellulose, these fungi help make our planet a little greener. 4. For those of us that have high cholesterol, statins can be a life-saver. These cholesterol-lowering drugs were originally derived from fungi such as Penicillium and Monascus ruber. 3. If you've ever taken an antibiotic, changes are it was produced from fungi. Penicillin, originally derived from Penicillium chrysogenum, has been used for many decades to save lives and ward off illnesses. 2. LSD, a common recreational drug, was created by Albert Hoffman in the 1940's. This powerful mycological method of getting high was isolated from the fungus Claviceps purpurea. Also, magic mushrooms are a type of fungus that contain the chemical psilocybin which causes halucinations. 1. Number one on the list is perhaps the most unpleasant, but also perhaps the most widely known and spread. Fungi have given us countless common fungal infections including athlete's foot and ringworm. They also cause dry rot in houses and can make people very ill. Next time you have a little cough or feel a little itch in between your toes, remember that a simple fungus might be the cause.